From September 2008 until April 2017, Mr. Blinn was Chief Commercial Officer for Avedro, Inc., a medical device and drug manufacturer with FDA approved products sold in 40 countries through a highly specialized distribution network of more than 350 sales and field service representatives reporting up to him. 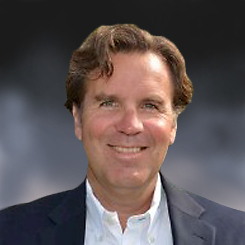 Mr. Blinn brings more than 35 years of experience in executive corporate management and worldwide sales and marketing management for medical device companies from start-ups to Fortune 500 companies. 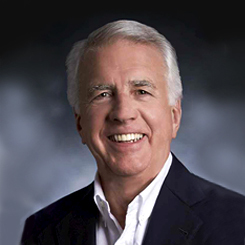 He was the 13th employee at Summit Technology, Inc. and as its Executive Vice President he served on the leadership team that pioneered the development and worldwide marketing of excimer laser systems for performing laser vision correction eye surgery. Summit sold to Alcon Laboratories Inc. for $970 million. Mr. Blinn began his career in the Medical Products Division of 3M Company. From 2007 to 2017 Mr. Garcia served as Chief Financial Officer for Passport Systems. From 1997 to 2006, Mr. Garcia was the CFO of Epion Corporation, a developer and manufacturer of atomic scale semiconductor processing equipment and other microelectronic applications. Prior to Epion, Mr. Garcia spent nine years at Summit Technology, a provider of laser vision correction equipment and services in ophthalmology, ultimately serving as Vice President of Operations for the company’s vision centers. Mr. Garcia began his career in the high technology practice at KPMG Peat Marwick. He holds an MBA from the Wharton School at The University of Pennsylvania and a BS in Accounting from Fairfield University. He is also a certified public accountant. 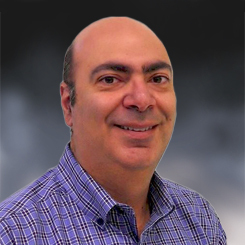 Dr. Khoury has extensive experience in the medical device and tissue engineering field and over 20 years of experience in cellular and molecular biology techniques to elucidate complex mechanisms and functions underlying several disease areas. In 2009 Dr. Khoury joined Exogenesis Corporation as its Director of Cell and Molecular Biology and prior to that he held the position of Senior Scientist of Cell and Molecular Biology at Histogenics Corp. He received his Ph.D. from the Dept. of Medicine at McGill University and held the position of Postdoctoral Fellow at Harvard Medical School in the Dept. of Urology at Children’s Hospital Boston, and Instructor in Anesthesia at Brigham and Women’s Hospital. Joe’s experience in cellular and molecular biology has been instrumental in the development of ANAB technology and he will continue in his role at Exogenesis while providing scientific guidance and project management to Vallum. 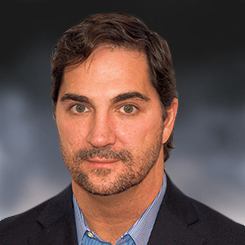 Prior to joining Exogenesis in 2009 as its Director of Product Development, Mike had 15 years of experience in managing the development, manufacturing, global deployment and support of leading edge high value technology capital equipment production systems. 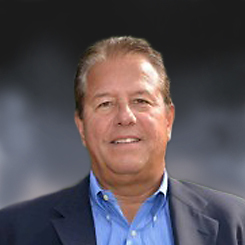 He held management positions with Tokyo Electron Epion, Epion Corp. and Eaton Corp. Mike has been instrumental in the development of ANAB technology and will continue in his role at Exogenesis while providing technical guidance and project management to Vallum.